Schaffner Group’s growth set a new record: the company’s sales grew by 13.2% in fiscal year 2017/2018. The growth involved all three divisions and every region where the group works. 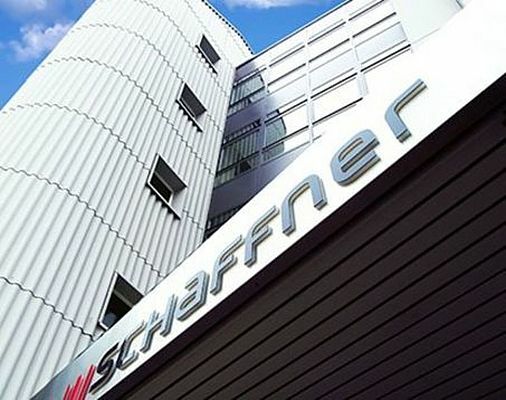 Schaffner has started fiscal year 2018/19 with a good order backlog, even though the momentum is likely to be lower than in fiscal 2017/18 due to rising uncertainty in global markets. The largest increase was recorded in Europe, where sales rose by 20%, bringing this region’s share of the Schaffner Group’s sales to 45%. With sales growth of 9%, Asia represented 35% of the consolidated sales figure. Sales in North America were up 5% and accounted for 20% of the Group total. The EMC division’s sales grew by a vigorous 18%. In the Power Magnetics division, the turnaround made significant progress: despite a poor start to the year in North America, the segment’s sales in fiscal 2017/18 were pushed up by 13%. Lastly, the Automotive division increased its sales by 3%, with a strong growth recorded in Europe, while demand declined slightly in the second half of the year in Asia.